LONDON, (CAIS) -- The Islamic Republic vice president who is also the director of Iran’s Cultural Heritage and Tourism Organisation (ICHTO) has threatened to cease the cooperation between the National Museum in Tehran and the British Museum in London, if the Cyrus the Great Cylinder is not loaned to Iran, reported the Persian service of the Aryan Heritage (Miras-e Ariya) on Wednesday. The Islamic republic since coming to power in 1979 has been waging a war against Persian culture and pre-Islamic Iran and in particular the figure of Cyrus the Great. 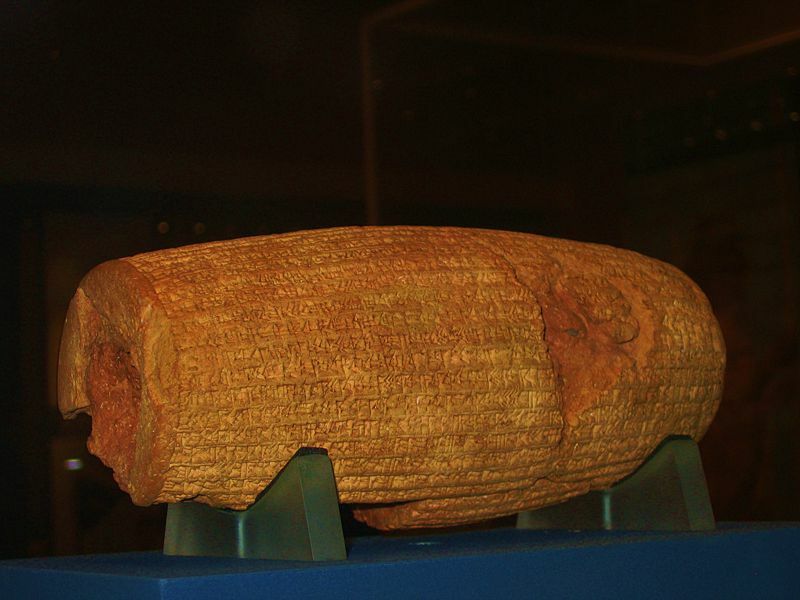 The request for the loan is however raising suspicion inside and outside Iran, as to why the clerical regime who insults the man who Iranians consider him as “The Father of the Iranian nation” as a “homosexual-Jew-Lover”; - or builds a dam so close to the Cyrus’s capital to ensure its destruction within few decades; – or calling the discovered bones in the cavity of the ceiling of his mausoleum as the “bones of a dog”; destroy Iran’s national heritage under the guise of developments, wishes to borrow this invaluable artifact.